Paradise Cave dubbed as “underground palace” Heaven is one of the wonders of the magnificent and magical world most. Cave is nestled deep in the World Natural Heritage National Park Phong Nha Ke Bang, terrain catto neck, dating formed today about 350 to 400 million years. 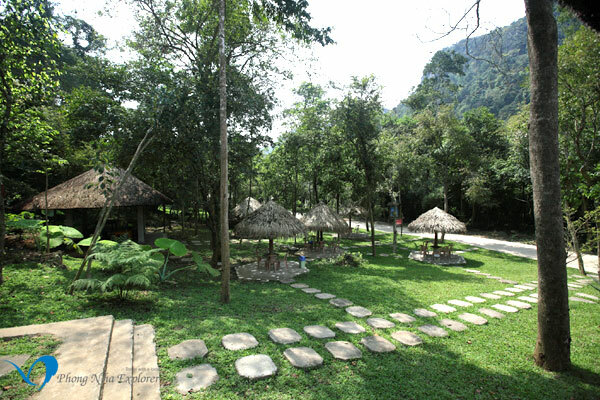 Heaven is located at Km 16 from West Branch edge of Ho Chi Minh road about 4km of Son Trach commune, Bo Trach district, Quang Binh province, the center of Dong Hoi city about 70km to the northwest edge West Road branch in Ho Chi Minh . Phong Nha way about 25km journey west branch north Truong Son Street, very convenient way. Paradise Cave newly discovered cave in VietNam and it was considered the largest complex of caves in the world. This system of interconnected caves was discovered in 2005 by scientists from the British Cave Research Association with the help of a local man. 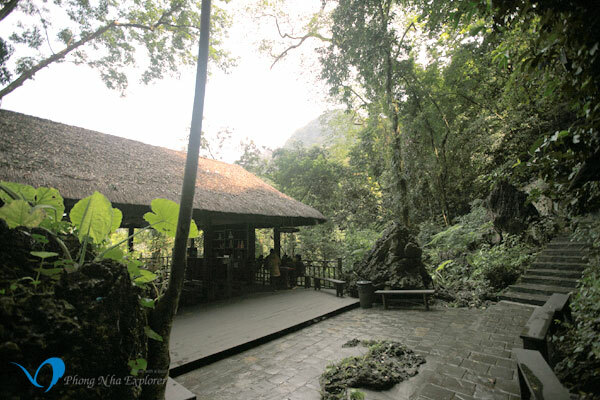 It is the most beautiful cave in the Phong Nha Ke Bang area, a UNESCO World Heritage site. The whole length is 31 km long but only 900m was opened to the public. Paradise Cave, the cave was discovered by a local man in 2005 and 5 first km of this cave was explored by explorers from British Cave Research Association in 2005, the whole 31 km was explored and publicly announced by the British cave explorers. 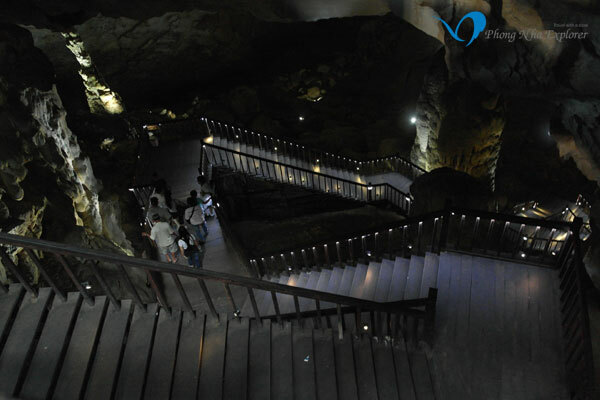 This cave is 31 km long, longer than Phong Nha Cave which had been considered the longest cave in this national park. I am not really into cave but this one is not like anything i had seen before. Looking at the pictures i was spellbound by the beauty and dream of the day to visit. 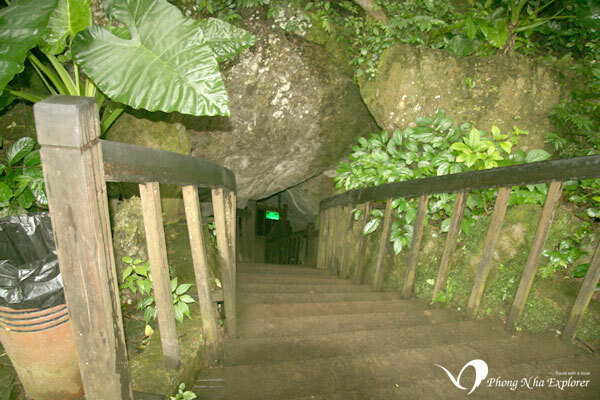 Paradise Cave: he height can reach to 100 m and 150 wide. 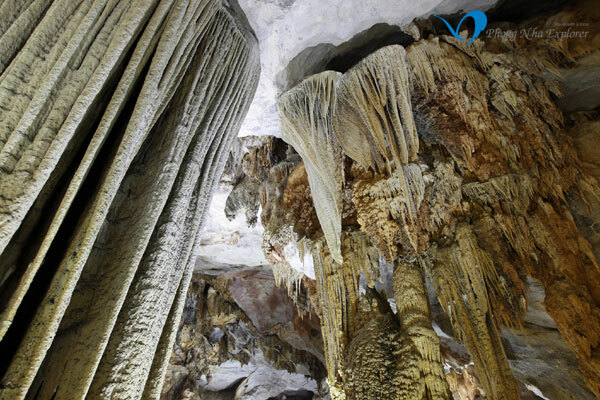 The limestone formation is also more spectacular than that of Phong Nha Cave. In 2012, a new scorpion species Vietbocap thienduongensis was found here. 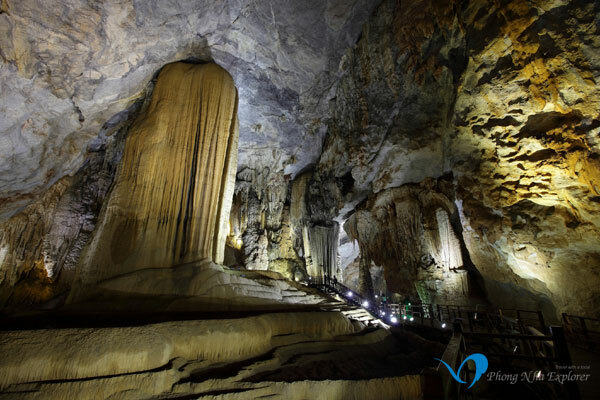 The British cave explorers was impressed by the beautiful and spectacular stalactites and stalagmites inside this cave and they named it Thiên Đường Cave (Paradise Cave). Thiên Đường Cave (Paradise Cave) is a cave in Phong Nha-Ke Bang National Park, UNESCO’s World Heritage Site, 60 km northwest of Đồng Hới city. According to experts, Paradise is more beautiful and magnificent than Phong Nha and Tien son. 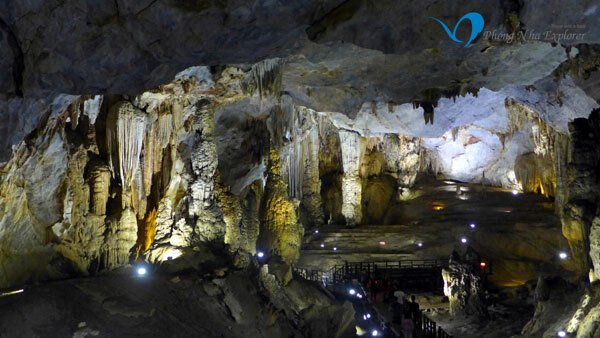 A local named Ho Khanh said that Paradise Cave was discovered and attracted the attention of many scientists, explorers, international community, tourists in Vietnam travel. 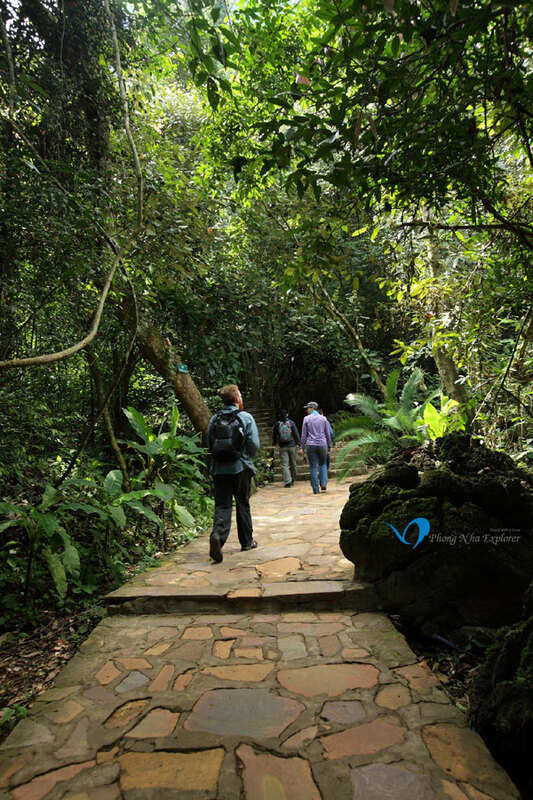 In February, the crew of “Where 2 Next?“, a pilot television series about no-destination traveling, stopped in at Paradise Cave (Dong Thien Duong), part of the new Phong Nha-Ke Bang National Park cave system that just opened to the public on December 24th, 2010. It was magical. Barely anyone there, we were of course, too rushed for time, and trying to take it all in was almost a futile effort. Besides the principal photography for the show I managed to shoot off a few stills to try to capture a rough perspective of the scale and beauty of this cave. Definitely a highlight of our trip for me, the Paradise Caves were unlike anything I have ever seen before in my life. Paradise Cave (Thien Duong Cave) is newly-discovered cave in Quang Binh Province. Its length is 31 km. The widest spot is about 150 meters. 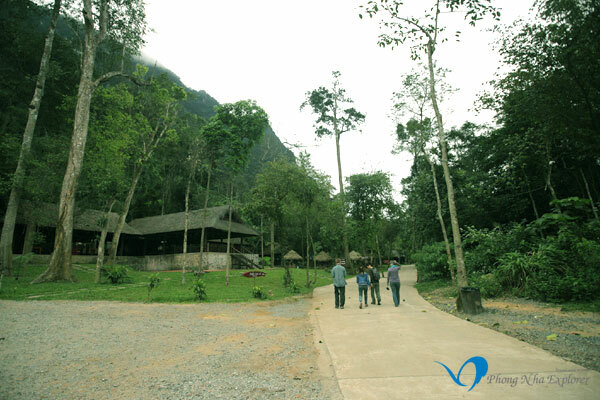 It brings a fantastic beauty that make tourists in Vietnam Tourism praise. 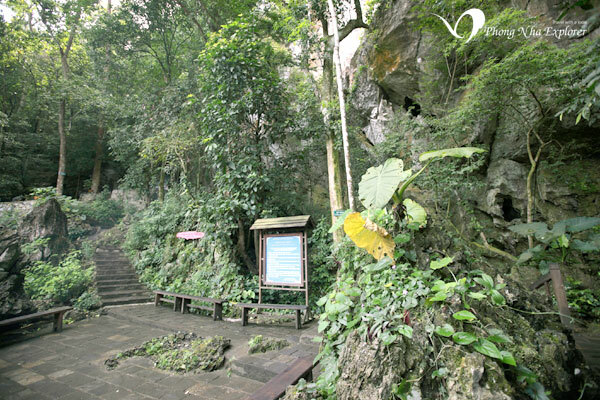 It was discovered in 2005 but after five years of mining, paving the way, building the up-and-down way, Paradise Cave is opened by Truong Thinh Group in September 2011.